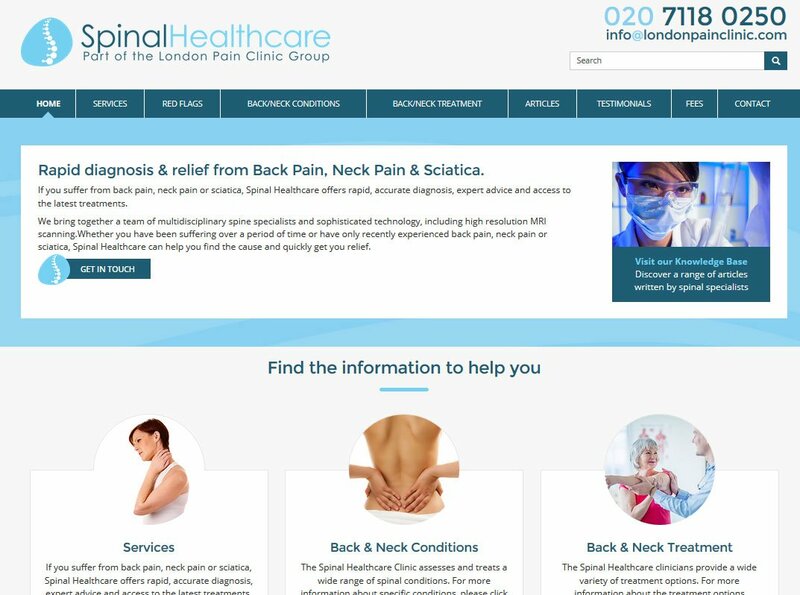 Spinal Healthcare are consultants in Pain Medicine and treatment based in Harley Street, London. Their existing website was built on a proprietry CMS many years ago so was in urgent need of an update. They wanted to retain a synergy between all of their other websites so the design was built to match.